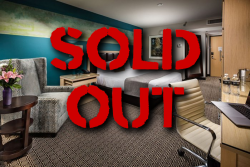 *As of April 9, 2019 all of the PRB Discounted Rooms at the Downtown Grand are SOLD OUT! The Downtown Grand Hotel & Casino is just a short walk to all the PRB events, the new home of the infamous PRB Pool Parties* and offers a more authentic “Old” Vegas experience. Enjoy newly refurbished hotel rooms, multiple onsite dining options from Triple George Grill Steakhouse, to the best hangover cure, Pizza Rock. Voted “Best Hotel Value in Las Vegas” by the Las Vegas Review Journal! 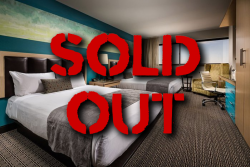 *BONUS : Purchase of a room at the Downtown Grand includes two wristbands good for Priority Early Access to the FREE daily pool parties. Even thought the Citrus Grand Pool Deck is largest, rooftop pool deck in all of Downtown Vegas, SPACE WILL BE LIMITED! Sorry kids, the PRB Pool Parties are 18+. We strongly suggest you head to our Pool Party page for all the details.